The drive down from the Grand Canyon started out colder this morning than yesterday morning. Actually the temperature did reach -6 degrees F, but I did not get a photo of the on-board outside temperature guage. 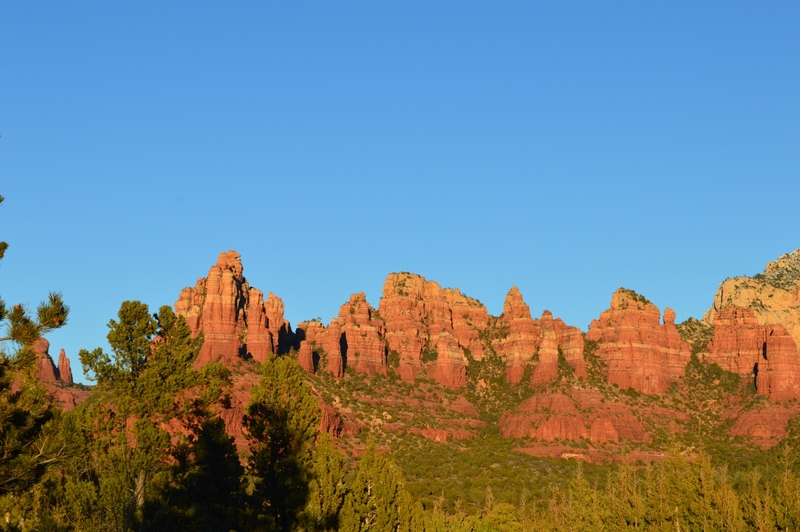 The mountains in Sedona are red in color – this is called Red Rock Country for a reason. The vistas are stupendous! 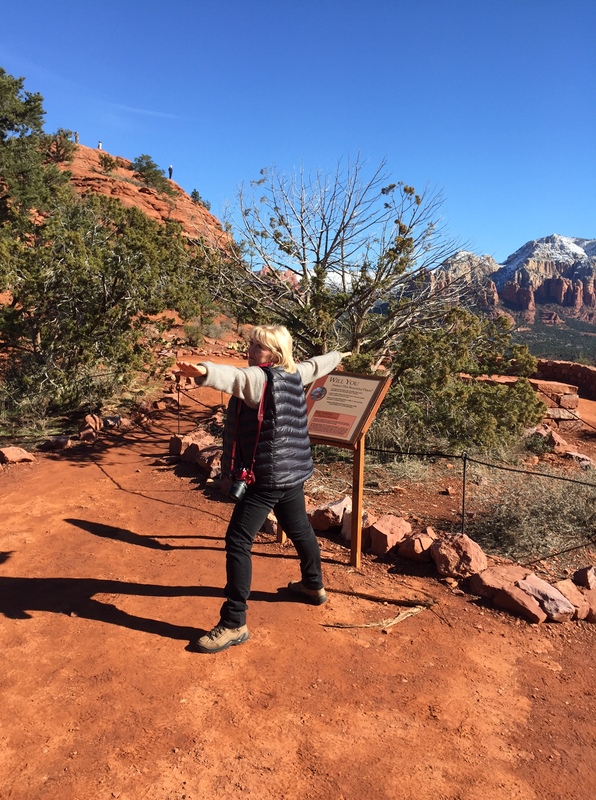 I visited the Airport Vortex – it is said the energy at this vortex strengthens the masculine side. The Masculine Side can be seen as being on a scale that has strength at the high-end and weakness at the low-end. People who have a strong masculine side are self-confident. They have the internal strength to take charge of their own lives and to claim their rights in life. I meditated at this vortex for a while, after which I felt the need for a bit of Yoga. Having a strong masculine side means being good at taking risks when appropriate, being decisive when necessary and being able to focus or concentrate in order to get things done. It also means being good at figuring out how to get out of life what is desired. Conversely, people who have a wak masculine side often doubt their abilities and many things intimidate them. The Feminine Side can be viewed as being on a scale that has goodness at the high-end and the opposite, which is badness or evil, at the low-end. The feminine side strengthens the ability to allow others their rights and not interfere with those rights. The Balance between the masculine and feminine side is almost as important as growth itself. Even a less evolved person, if he is balanced, at least treats others the same way he treats himself. And that is what balance is all about. Having a good masculine feminine balance helps relationships by strengthening the things that make relationships work well, such as intimacy, commitment, honesty and openness. 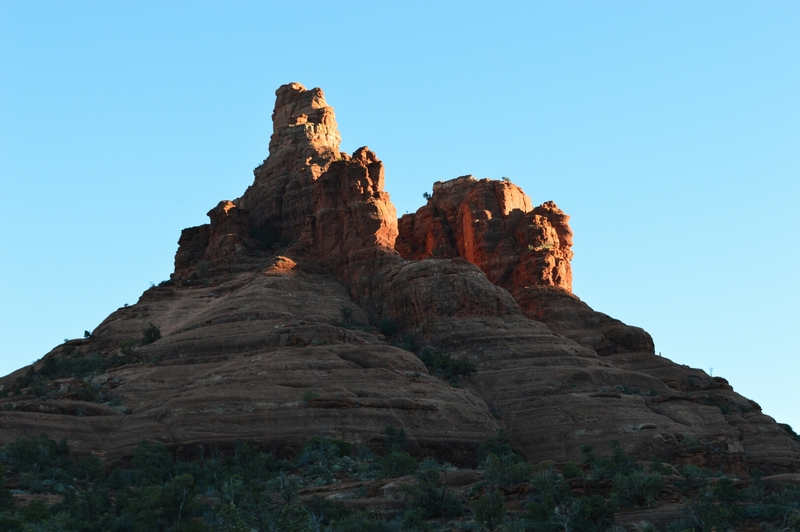 I then went to the Bell Rock Vortex which is said to strengthen all three parts; the masculine, feminine sides and the balance.